This week I’m using the bounty of my garden to make dinner. Don’t worry, there is a lot of meat involved too. We like veggies but I am such a carnivore! Our zucchini are still going crazy and the tomatoes are not far behind. And my raised bed herbs are at their peak and just gorgeous! 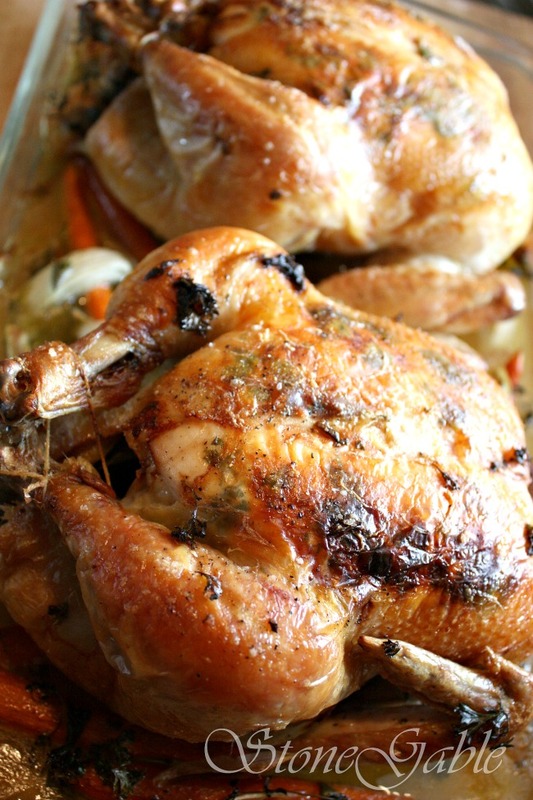 Do you need dinner ideas? I have a whole week’s worth! 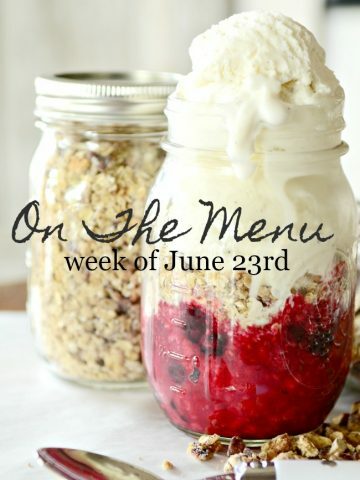 Here’s what is on the menu this week! Are you listening to our podcast DECORATING TIPS AND TRICKS? Come join us!!! Today’s DTT episode is all about FASHION RULES THAT APPLY TO DECORATING. We are having fun with this topic. And you will get a little audio peek into our closets! You can listen to all 81 the episodes of Decorating Tips And Tricks HERE. We love BBQ chicken on the grill. And the best way to make it is with what I call MAGIC RUG. It’s a rub that I make in big batches and use all summer long. It is great on any kind of meat and fish! If you make one thing this week, make the magic rug! 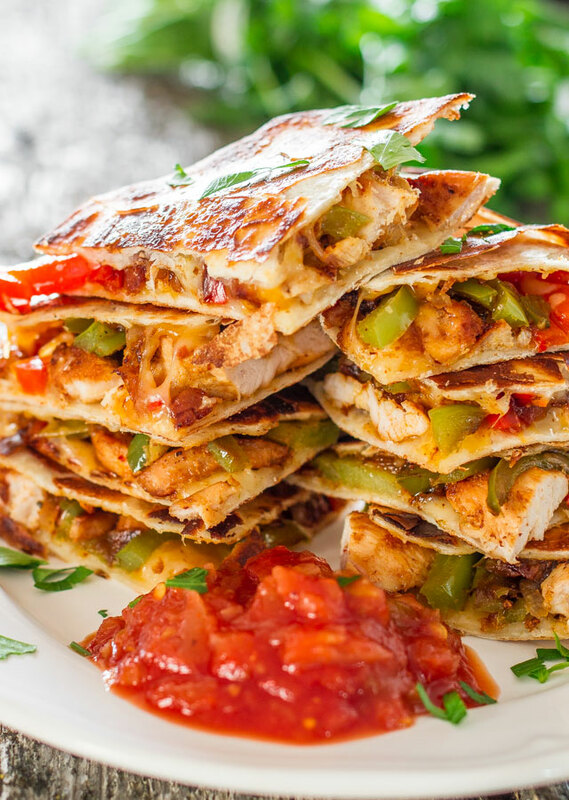 This week’s Tex Mex dinner is scrumptious and easy Quesadillas! They are so so easy to make. I always make more for lunches the next day. 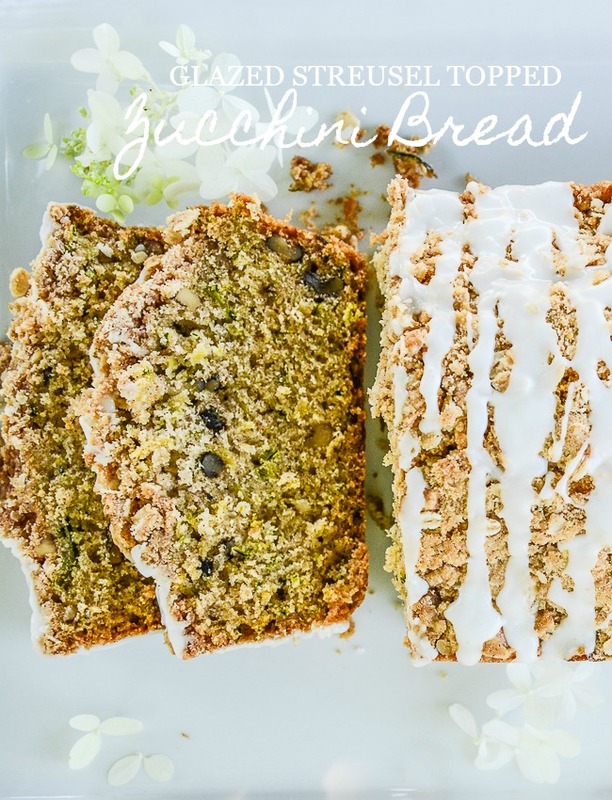 LOVE this recipe from JoCooks. 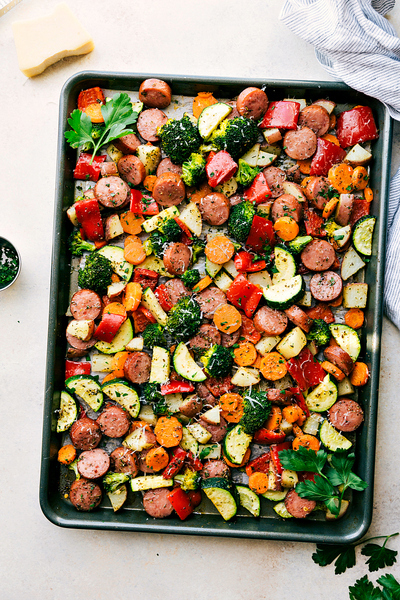 I’m so into SHEET PAN DINNER! The idea is to cook everything on one sheet pan. So so easy! Today I’m sharing an easy, healthy and delicious meal from Chelsea’s Messy Apron. It has a video that shows you how to put together this dinner! Amazing! I make two chickens at least twice a month. We eat it as is for one meal and I save the rest of the chicken meat for lunches and dinners and the carcasses for chicken stock. Oh yum! We love this. I’ll stuff the cavities with garlic and garden herbs this time and omit the lemon. Corn is at its peak right now in Lancaster County. And it is scrumptious! 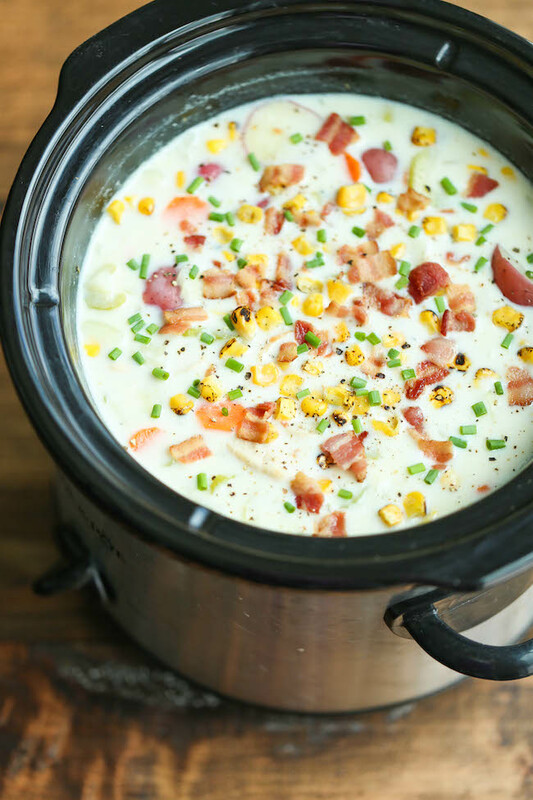 I’m trying this slow cooker recipe from a new-to-me blog called Damn Delicious. Instead of using frozen corn I’ll grill fresh corn and take it off the cob. Goodness!!!! My Mom loves fish tacos so I like to make them when she comes for dinner. These fish tacos are so so delicious and colorful. 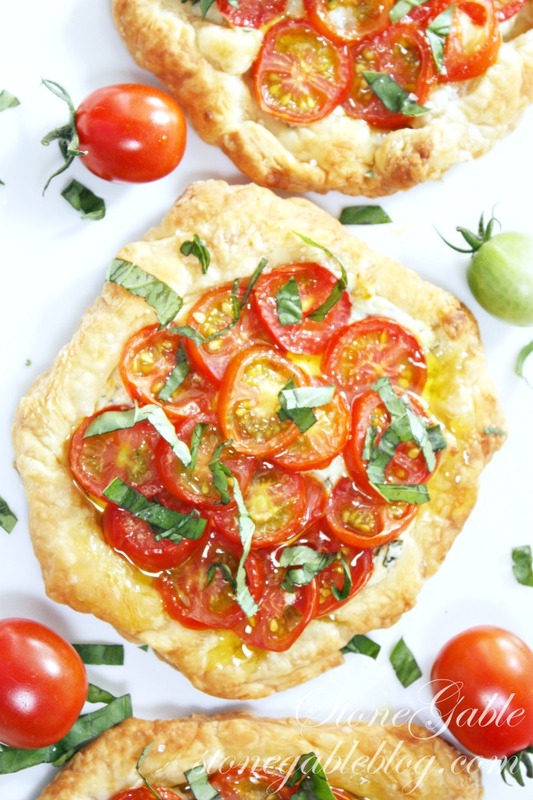 These darling little tomato pies use the best of my garden, cherry tomatoes, and puff pastry. Such an amazing summery combination! I think puff pastry is so easy to work with and makes a dish extra good. Use puff pastry that is made with butter and not oil. It’s more expensive but it tastes so much better. I get mine a Wegman’s (the Wegman’s brand). If zucchini were worth their weight in gold, I’d be a zillionaire! Our zucchini are riotous and out of hand! So I am freezing zucchini to use the rest of the year. To see how to freeze zucchini click HERE. And this tutorial shows you what to do with those baseball bat size zucchini that hide in your garden! 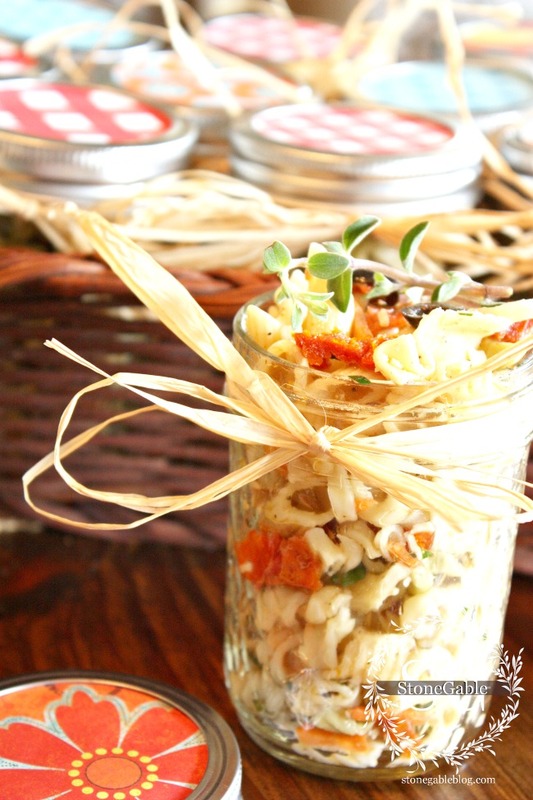 You might like to follow me on Pinterest and see over 2,000 recipes on my FOODIE FRIDAY board! If you have made a StoneGable dish please find it on pinterest and click the “TRIED IT” button. Thanks so so much! Yvonne, you are my go to gal when I need a dinner menu for entertaining. My husband planted his garden late this spring. Our tomatoes will be coming shortly, and when they ripen we will have a bountiful. Searching for recipes to enjoy. When is your food podcast starting?? I’m so excited for it ?? Hi, Yvonne, it’s Kim… have you gotten produce from the stand on Pioneer Road? Take Book road past LS and turn right on to Pioneer Road, it is a mile or so on the right. They have the MOST DELICIOUS peaches. Tons of other stuff, too. HAve you ever tried molasses as a final coating on BBQ chicken? It is delicious. I so look forward to your menus! I love to cook and bake so new tips and ideas are always welcome. 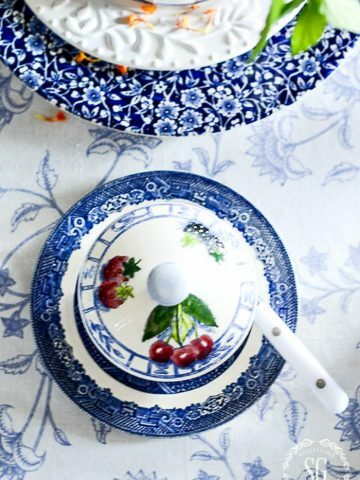 Another blog I enjoy is A Farmgirl’s Dabbles. She has some delicious recipes as well. I have got to quit reading your menu blog when I’m hungery. Definitely trying the sheet pan bake,the rub and the tomatoe puffs. I look forward to trying the magic rub! I love you menu plans! Thanks for sharing them and your recipes! And, your food photography is getting really good. The colors are brilliant! I never miss a menu post! I think you mean this week’s treat, not this weeks teat. 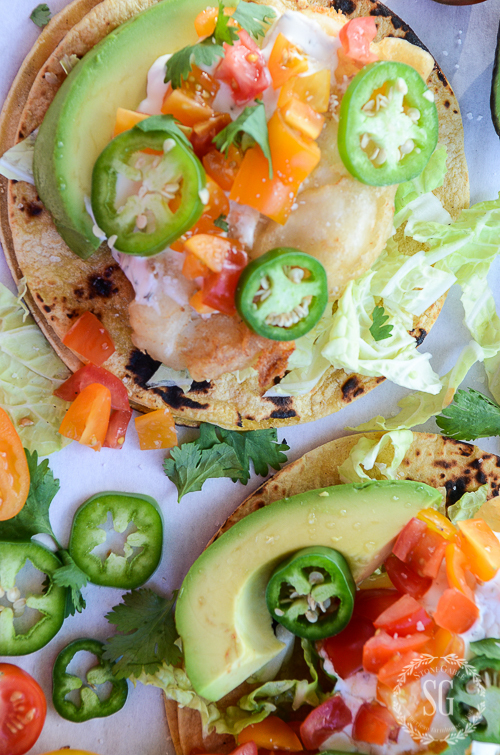 My daughter loves fish tacos so I’ll definitely be making them for her this week. Yummy! Those tomato pies are making me so hungry that I will have to make them tonight. Will be using my home grown tomatoes of course! Those tomatoe pies look yummy ! My husband is talking steak on the grill today. These all look delicious, especially the quesadillas. Would LOVE to see some pictures of your vegetable garden if you could ever do a post about it. 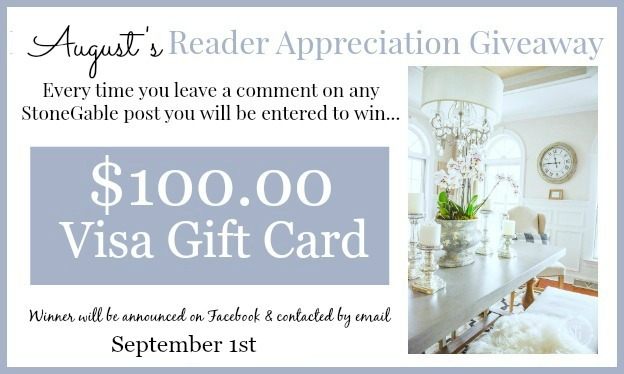 Thanks for all you bring to your readers. As always everything looks delicious. I can’t wait to try the mini tomato pies. Yummy!! Thanks for sharing. Enjoy your Sunday. Fun recipes, especially the sheet pan dinner and tomato mini pies. I will have to try these. You got me with those darling little “Roasted Tomato Mimi Pies”! Going to fix them this week. I love the tomato Puff pastry dish. Can’t wait to try it! 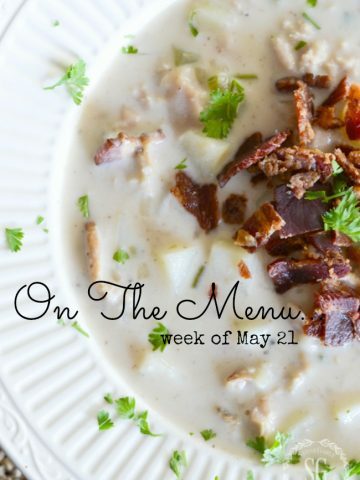 I’m a home cook and normally don’t pay much attention to posted recipes,weird I know, but all these look sooooo good and enticing to make. Thanks for the work it took to put all this together for your readers like me. tomato puff pie! easy and yummy! thanks Yvonne! Wow it all looks great! I especially want the sheet pan dinner. Beautiful food. 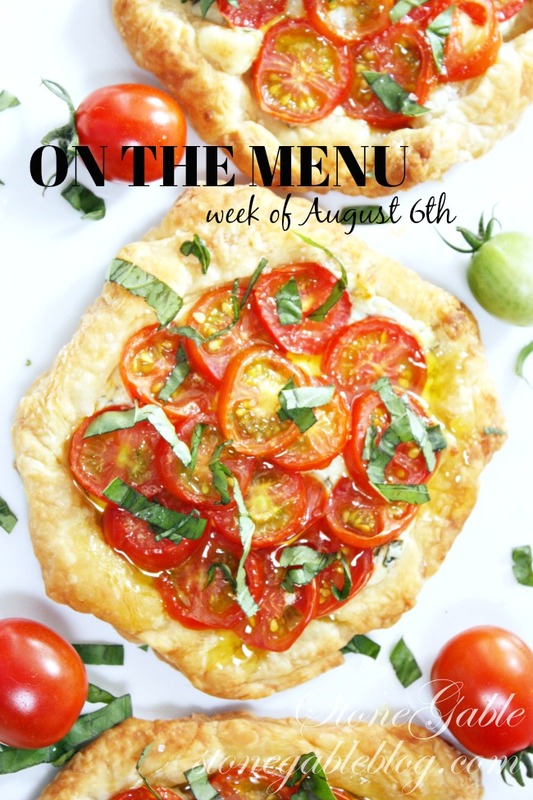 What delicious sounding meals – those tomato pies are really calling out to me! !